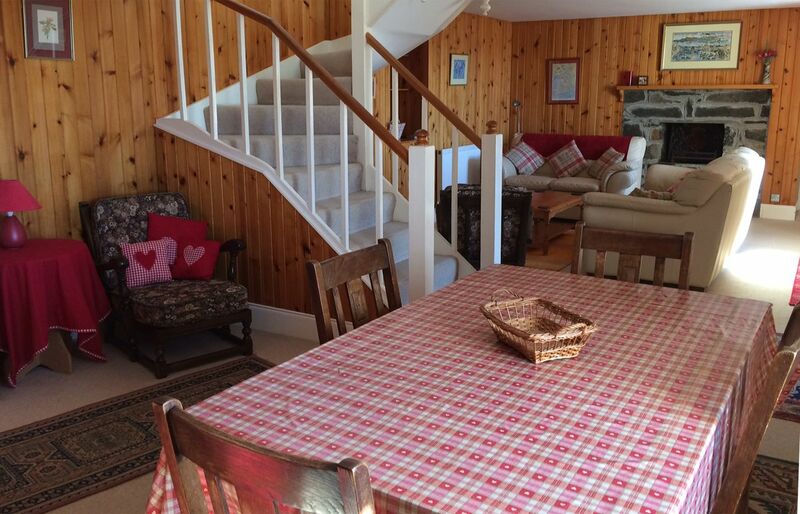 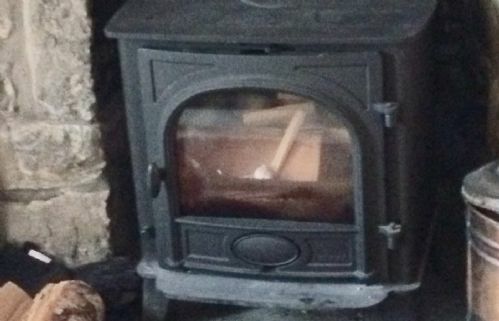 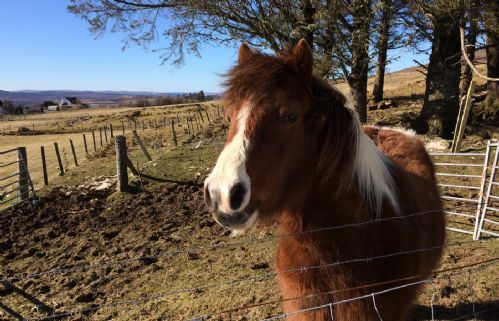 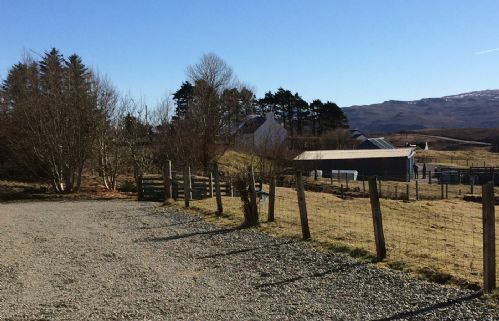 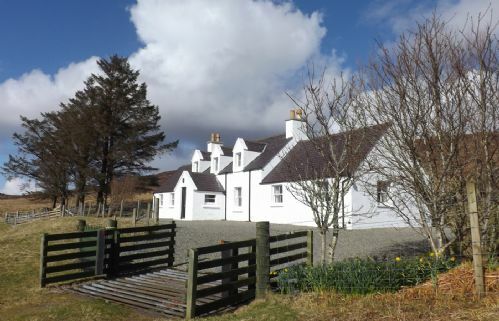 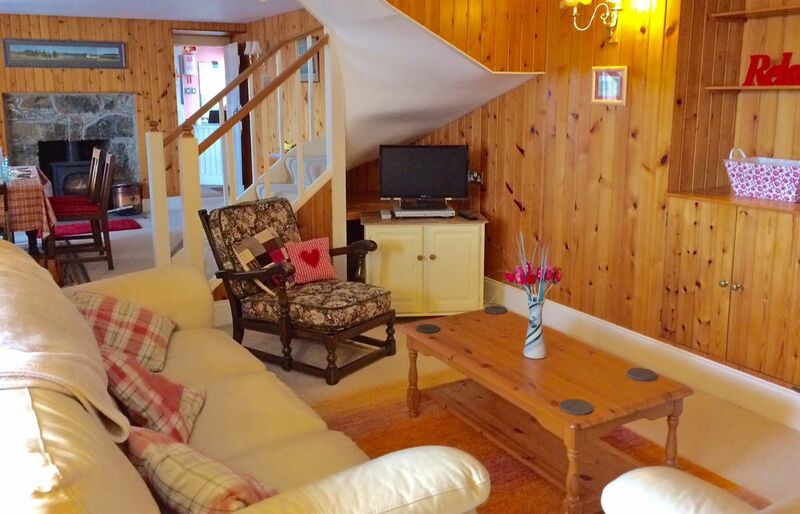 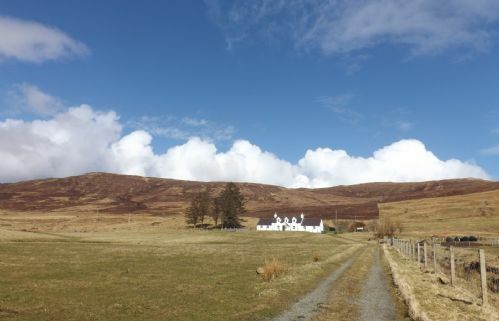 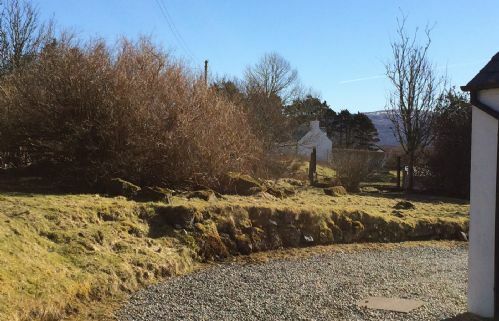 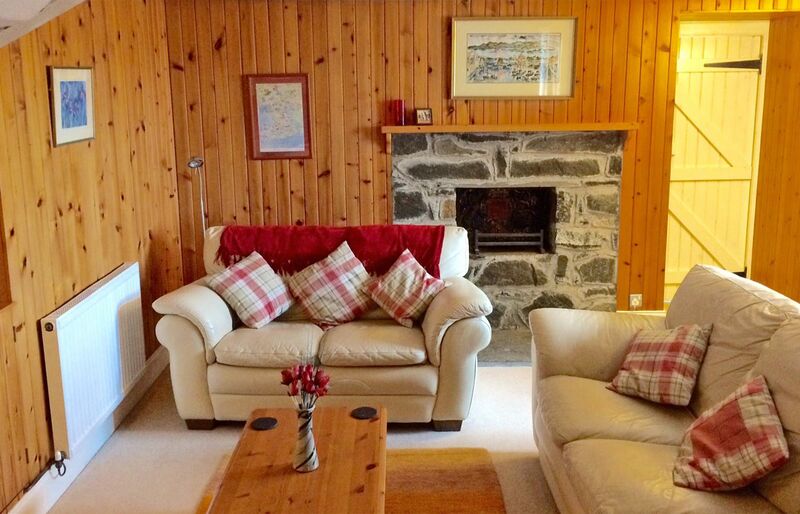 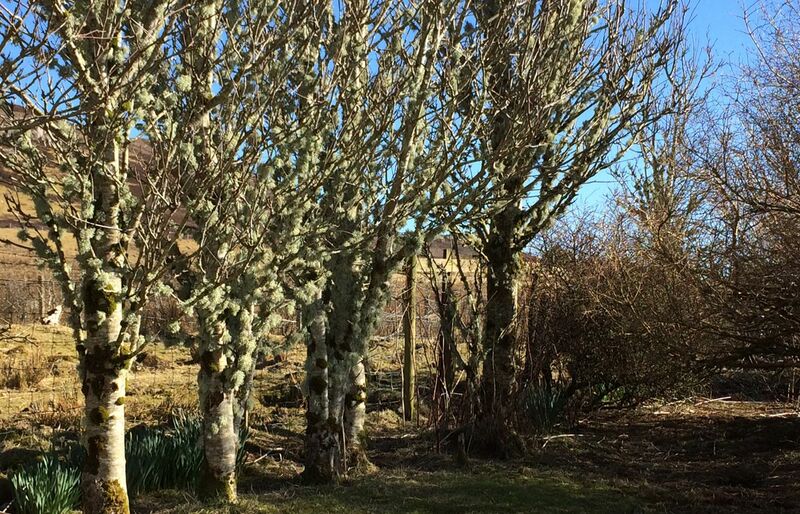 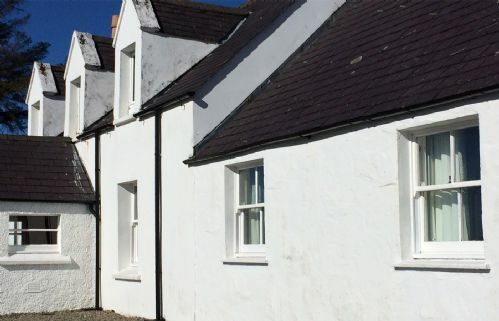 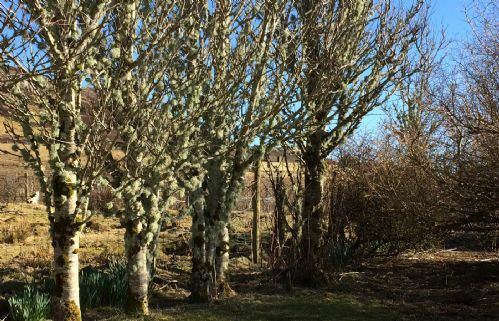 Glen Osdale, Borve is a spacious family holiday home on the Isle of Skye. 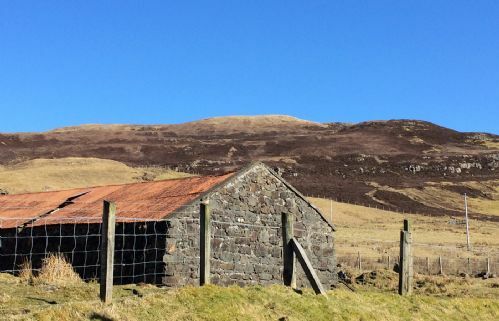 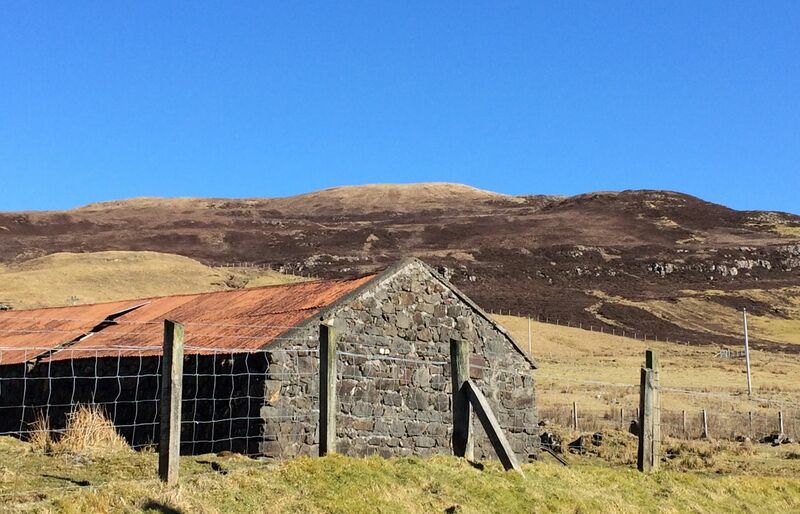 Set at the foot of the hills in a crofting community, it has widespread views across the adjoining crofts and mountains. 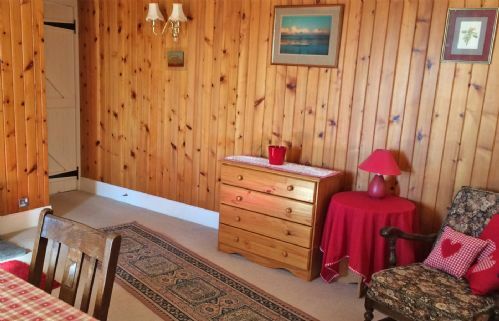 As you enter Glen Osdale, there is large porch for shoes and wet jackets. The large open plan living/dining room has a log burner, comfortable sofa's and a family size dining table. 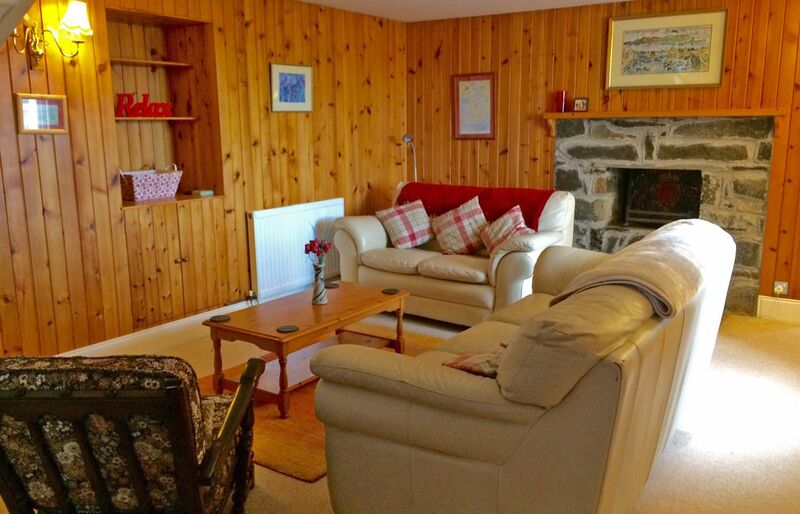 There is a TV/DVD player and video plus games and books for evening entertainment. 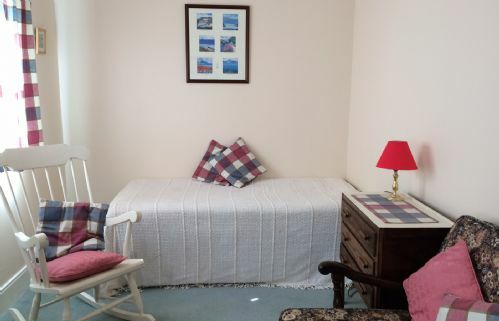 There is a second smaller sitting room area for additional living space. 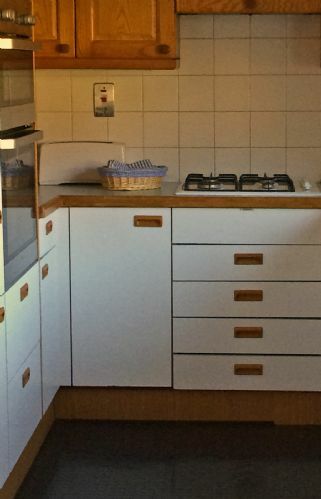 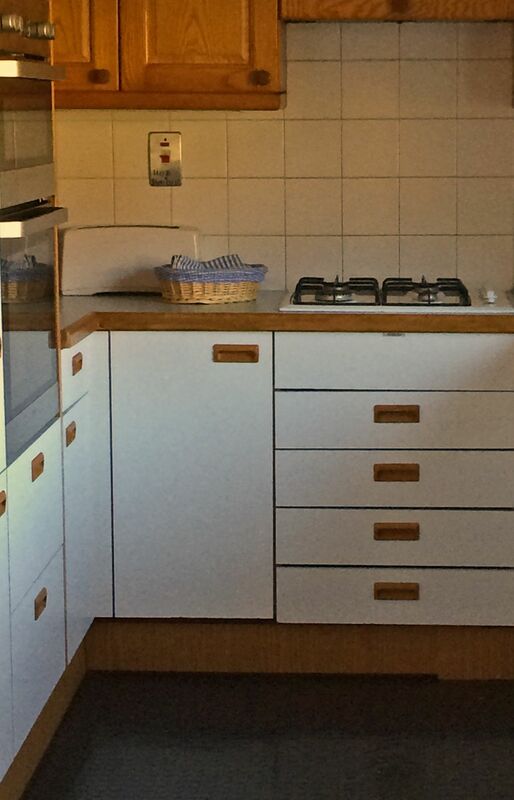 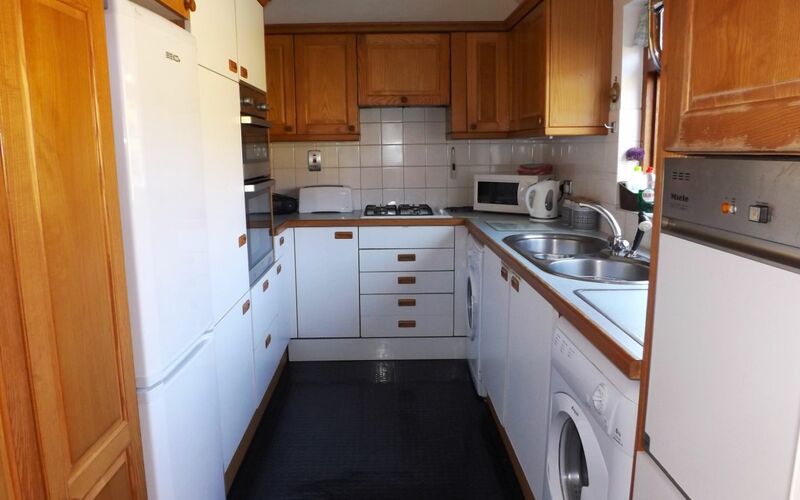 The kitchen is fully equipped and includes a dishwasher, washing machine, fridge, upright freezer, microwave, gas hob and electric oven. There is a separate boiler/drying room with an additional WC. 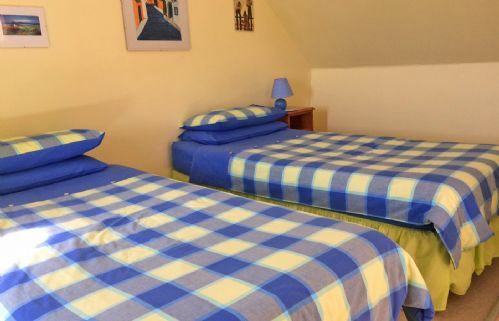 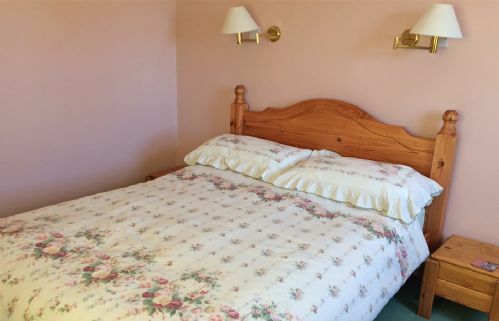 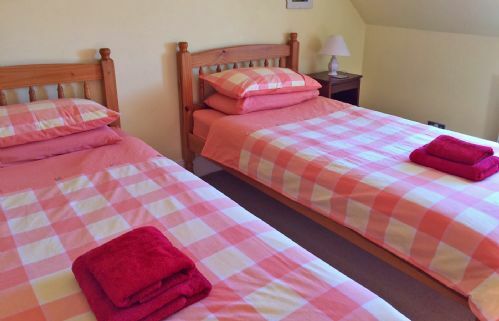 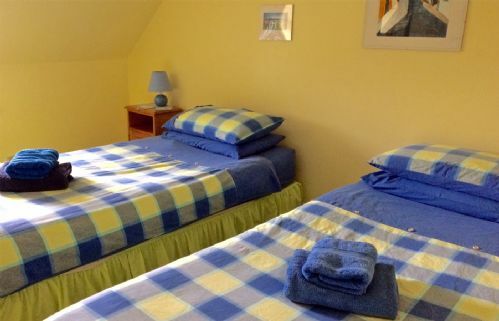 The master double bedroom has en-suite facilities and is located on the ground floor. The family bathroom is also on the ground floor and has a bath with shower over. 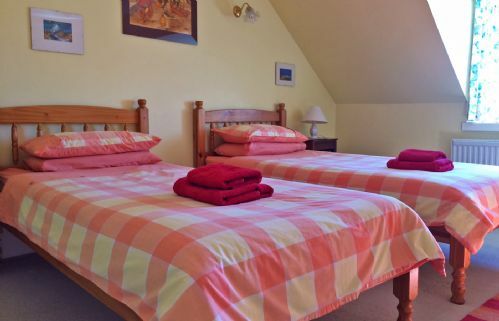 Upstairs there are two spacious twin bedded rooms. A cot and high chair are available, please request at time of booking. There is a gravel drive and parking is next to the holiday home.